Jaguar will start sales of its I-Pace EV next year. 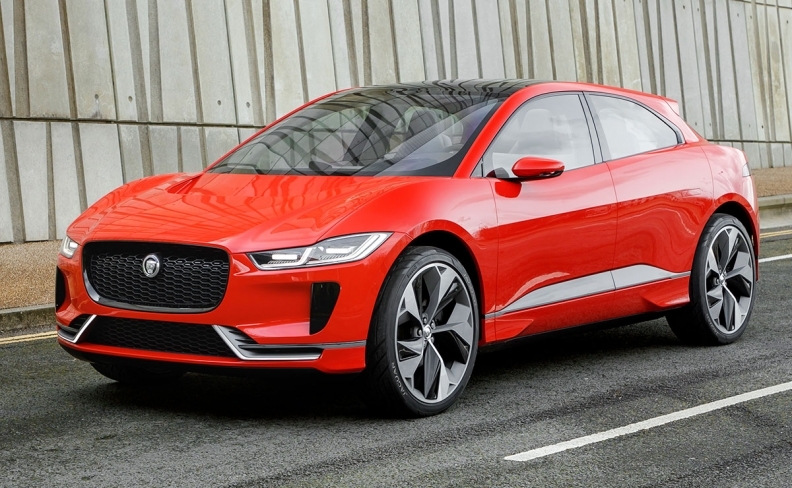 LONDON -- Jaguar Land Rover said all its new vehicles will be available with full-electric, plug-in hybrid or mild hybrid technology, starting in 2020. The UK automaker's plan to offer greener versions of its sporty Jaguar cars and Land Rover SUVs comes as governments are cracking down on air pollution and CO2 emissions. "This will give our customers more choice," JLR CEO Ralf Speth said in a statement. Underscoring its electric shift, Jaguar will start selling the I-Pace battery-powered SUV next year. The company has 25,000 orders for the vehicle already, Speth said. JLR is expected to unveil plug-in hybrid versions of the Range Rover and Range Rover Sport large SUVs in the near future. To emphasize its commitment to electric power, JLR showed off the Jaguar E-type Zero, a version of its classic E-type with an electric drivetrain, at its parent Tata Motors annual tech fair in in London on Thursday. The 1968 sports car was restored and reworked at Jaguar’s Classic Works facility and can accelerate from 0 to 62 mph (100 kph) in 5.5 seconds.The car's electric powertrain, which develops 220kW, was specially designed for the E-type Zero. Its lithium-ion battery pack has the same dimensions, and similar weight, to the XK six-cylinder engine used in the original E-type. JLR is heavily reliant on diesel sales in Europe where the powertrain type has come under fire for high levels of harmful NOx emissions. According to Swedish analysts AID 96 percent of Land Rover’s European sales and 84 percent of Jaguar’s volume in 2016 were diesels. Like most premium automakers, JLR needs diesels to meet EU emissions targets for 2021. Authorities in France and the UK outlined plans in July to ban the sale of diesel and gasoline cars by 2040 as a means to reduce air pollution and CO2 emissions. JLR joins other automakers in pivoting toward electric vehicles but its move is less aggressive than plans by Volvo Cars, which intends to offer only hybrid or battery versions of its new models starting 2019. Hybrid autos reduce fuel burn by being able to drive short distances or boost performance with the help of electric motors.